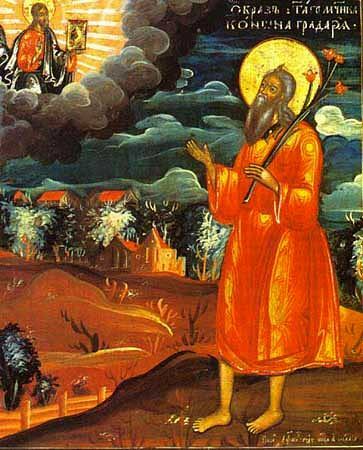 The Holy Martyr Konon the Gardener was born in Nazareth of Galilee, but he lived in the city of Mandona, where he occupied himself with gardening. He was a God‑fearing man, sincere in heart, and without malice. The saint suffered for his faith in Christ under the emperor Decius (249-251). When they brought him to trial, he unwaveringly and firmly confessed his faith. The torturers drove nails into his feet and drove him afront a chariot, until the sufferer collapsed from exhaustion, with a prayer offering up his spirit to the Lord.